It's been a month since we planted. 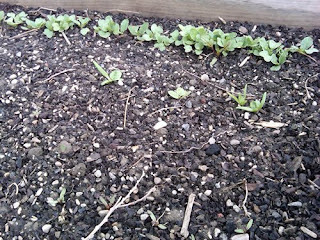 If you look close, you can see baby beets appearing through the soil. 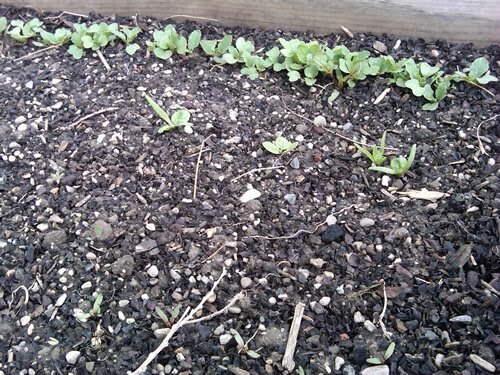 A year ago we just placed the soil in the boxes...and now I have my second crop slowly growing.